StewartBrown’s quarterly benchmark report says the top quartile home care operators average $17.53 earnings per client per day. “An additional $287.3 million has been provided to bring forward by one year to 2018-19 the release of 5,000 level three and 5,000 level four home care packages”. In September there were 127,000 people on the waitlist for home care packages. What difference will 10,000 packages brought forward make? StewartBrown welcome the news: “Margins are generally higher for high care packages” but also said their “September survey has seen a general decline in financial returns for [home care]providers compared to the same quarter in 2017”. See the chart above. Band four declines from $8.29 earnings before tax per client per day to $7.30 or $0.99. That is 12%! Note also the average earnings per client is $3.49 per day across all four home care package levels. This is clearly not the base for a solid business short or long-term. What operator would wish to reinvest at this level? One operator is. Enrich Living Services is expanding rapidly across the country. 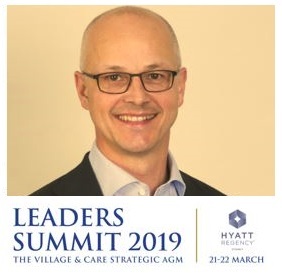 Join us at the LEADERS SUMMIT (21-22 March) to hear Enrich Group CEO Norbert Walther explain their ‘new thinking’ business model. Enrich Group CEO Norbert Walther.